The young buck is the kid who comes along on your ride with his dad. He’s 15 or 16 years old, and he’s understandably nervous of this bunch of cynical world weary cyclists. He looks at us with a mixture of mild awe and respect. Unless we’ve mis-read his body language, in which case he’s already mentally piecing together a plausible excuse for making this his first, and last, ride with us. The young buck has no idea that we are all terrified of him. We know that one day soon he will be quicker than us, and once he is there will be no way back. We’ll be humiliated, and when he’s old enough to understand what has happened he’ll feel sorry for us. To be fair to the boy’s dad, he does his best to delay this fateful day by coming up with a steady supply of excuses not to update his offspring’s low spec. bike and hand-me-down kit. This might be the only thing stopping the boy leaving some of us trailing in his wake. Another sign of his youth is that, whereas after a big ride it takes us a day or so to flush the lactic acid from our legs and begin walking with some freedom again, the young buck is up and at ’em again within about 40 minutes. While we’re propped up on the settee, recovery drink in hand, m’laddo will be out playing football with his mates. But the passage of time is inevitable – we were once that young buck, and we can only hold back the tide for so long. 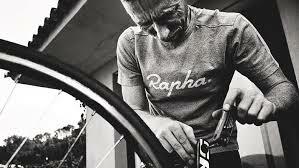 It’s worth remembering the great Fausto Coppi’s words: ‘age and treachery will always overcome youth and skill’. The old-timer isn’t as quick as he was, but he can ride all day (and frequently does). He will be prepared for any eventuality and carrying an assortment of ingenious tools, while we younger types carry our phone. This is the one thing the old timer does not carry; he would never invite the shame of having to phone home for rescue at the first sign of mechanical failure. Give the old-timer a grid reference and he’ll tell you where the nearest café is, how good the fruit cake might be, and the name of the proprietor’s wife. He won’t be able to tell you at what point in the last 20 years he was last there, but he knows he was. Chances are he will also have some rambling anecdote about the time he found himself out riding with some old ex-pro. I got chatting with one old boy recently who told me he’d been camping in France and got friendly with a French holiday maker named Bernard, also a cyclist. After a couple of glasses of wine Bernard told my friend that back in the 70’s he’d won the Tour de France. ‘Yeah, I bet you did…and I won the Tour of Britain’ my friend quipped back, and thought nothing more of it. It was when they joined up for a ride together the next day that not only did Bernard turn out to be pretty spritely for his age, but he was also apparently a famous face in the area, being recognised left and right. He was, of course, French two-time Tour de France winner Bernard Thevenet. If Bernard had his doubts about my friend’s Tour of Britain win he kept them to himself. A lovely series. I’m looking forward to becoming an old timer. I’m half way there as I certainly don’t remember being the young buck. “He won’t be able to tell you at what point in the last 20 years he was last there…but he knows he was.” Love it. Thanks very much, glad it struck a chord. I too am half way to being an old-timer having pretty much given up on keeping up with the youngsters – for me it’s ‘old age and and treachery’ from now on. I like the Bernard Thevenet story. I read an article once by someone who’d rode the Eroica vintage ride in Italy and noticed disdainfully a rider wearing a TDF yellow jersey, not the done thing and all that, only to realise it was Pedro Delgado and the jersey was an original. There are so many of these folks still out their among us you never know who you might run into. Cycling has gone through an absolute revolution in this country in recent yeas – as a sport its not quite mainstream but its no longer just something those strange continental types get up to. I do like an anecdote a about bumping into the pro’s – the yellow jersey winner IN the yellow jersey is a good one. Enjoyed reading these – I don’t often ride with a group, but used to have regular rides with a natural young buck who’s in the RAF, and is far too fit for his own good. The only way to keep up with him was to go for long rides, and deny him any decent sustenance. Thanks very much. Sounds like you favour the Coppi approach to overcoming youth and skill – i like it – denying the lad sustenance sounds pretty fool-proof.